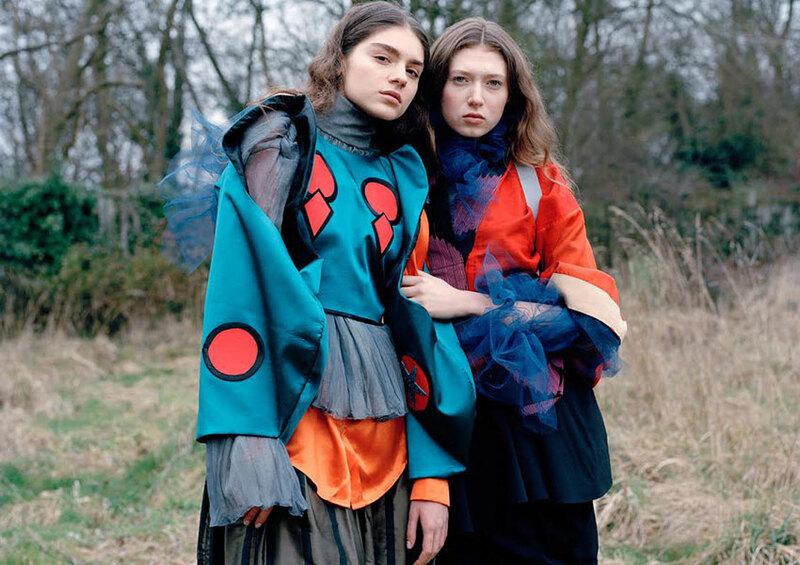 Photography by Carl Bigmore and fashion by Noemie Schelbert. 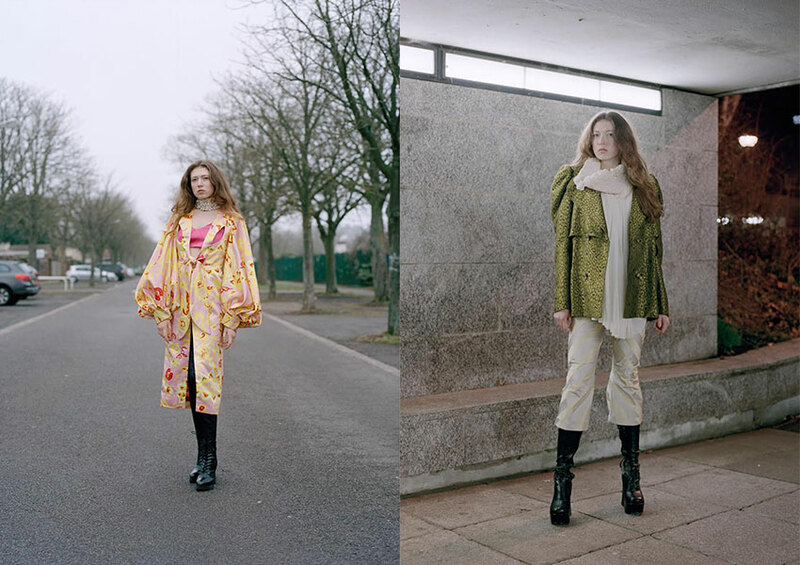 Holly wears coat by Grant-James Povey, yellow and black dress stylist´s own. Niki wears shirt by Grant-James Povey, blouse by Krasimira Stoyneva, blue skirt by Constance Blackaller and trousers by Longshaw Ward. Niki wears blue top by Odella Yue, orange shirt by Joseph Boon, gray top by Rhian Owen and trousers by Jack Byne, Holly wears top by Constance Blackaller and skirt by Fun Affair. Holly wears dress by Som Kerdsiri and pink bra by Fun Affair. 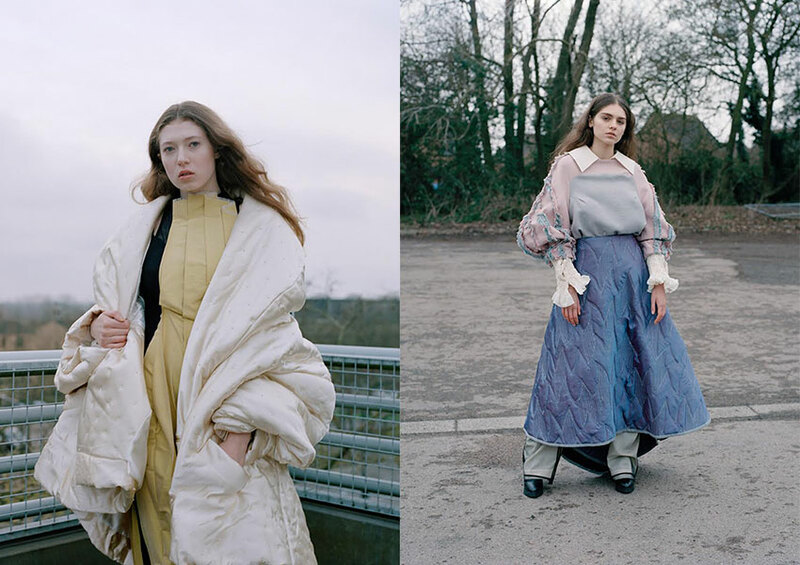 Holly wears jacket by Charlotte Zimbehl, top by Grant-James Povey and trousers by Jack Byne. Photography by Carl Bigmore, fashion by Noemie Schelbert, hair and make-up by Samantha Coles using MAC Cosmetics, modelling by Holly A. @Novelmodels Elite and Niki D. @Milk Model Management. Creative info: Carl Bigmore.